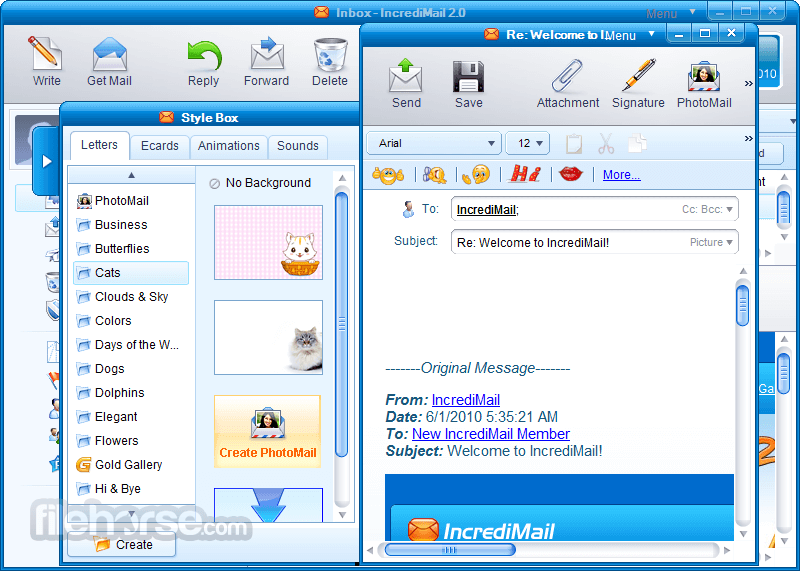 IncrediMail is a powerful, easy to use, feature-rich, and fun free email software. Better and smarter than ever before, IncrediMail includes features such as a powerful and fast email search tool, taking less than a second for IncrediMail to search through 10,000s of emails. IncrediMail also features an advanced Address book, enabling you to create contact groups in new convenient ways, see who your most popular contacts are, and assign a picture to each of your contacts. 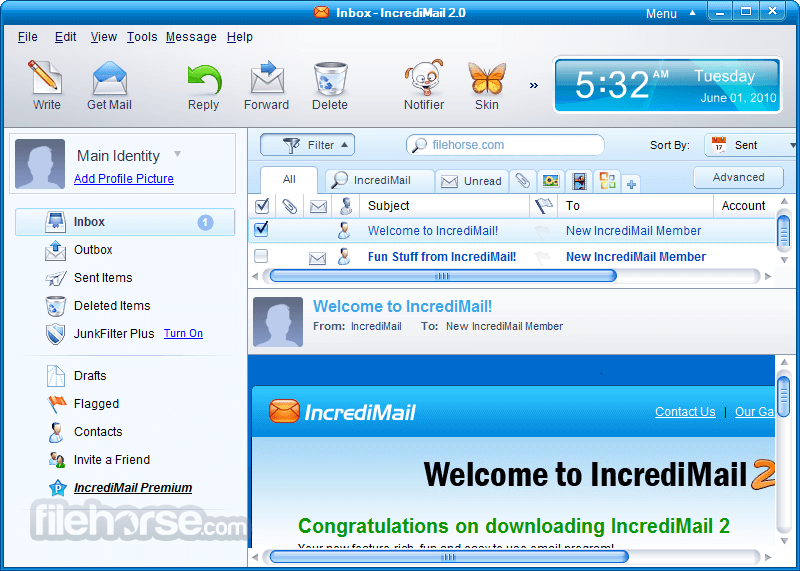 IncrediMail introduces a better, more attractive and user-friendly design, making browsing through your emails easier and more productive. IncrediMail’s PhotoMail Maker allows you to add your personal photos to the backgrounds of your emails. Choose from a variety of PhotoMail’s convenient Templates - all you need to do is add your photos in a few simple clicks! Enjoy tons of fun animated characters (Notifiers) – they will appear on your screen to tell you that new mail arrived. 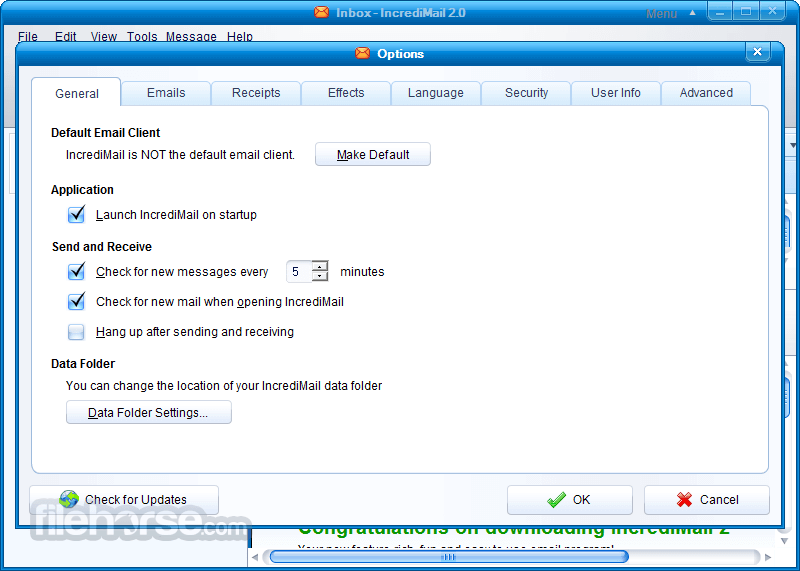 To stay updated on the arrival of new email, IncrediMail will automatically launch on startup. Enjoy a huge gallery filled with 1000’s of emoticons. Place cool emoticons in your email messages. IncrediMail has 1000’s of email backgrounds you can use in your email messages. Simply select your favorite background from ever-growing collection and make your email incredible. Everyone receiving your email will be amazed. Enjoy Ecards for every occasion. IncrediMail has a huge collection of beautiful and fun Ecards that make your special greetings all the more spectacular. Choose from tons of lively animations and add them to your email messages. See your messages change into exciting 3D objects like a sailing boat or flying helicopter when sending, receiving and even deleting your email. You’ll feel the thrill every time!